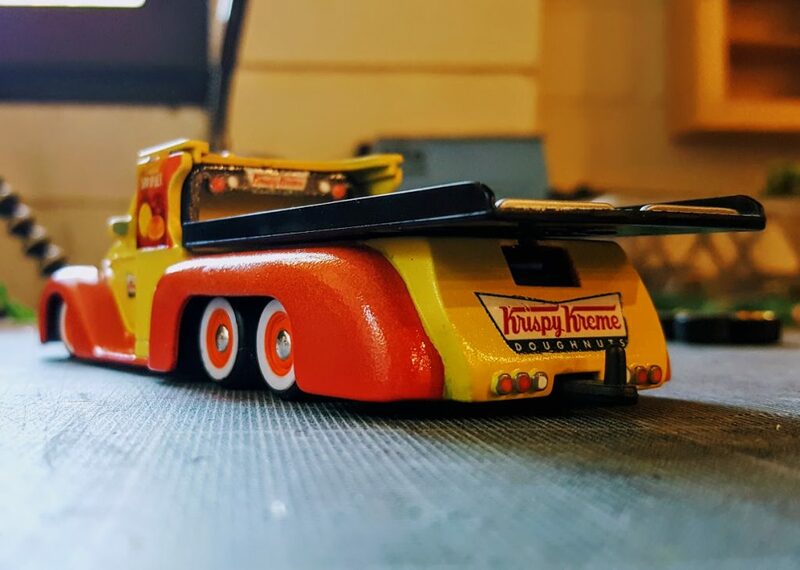 I was going to spell Customs with a ‘K’ so as to complete the alliteration of the title but upon closer inspection it occurred to me that the acronym created by such a title would be, well let’s just move on shall we. 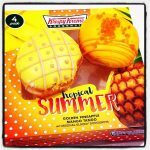 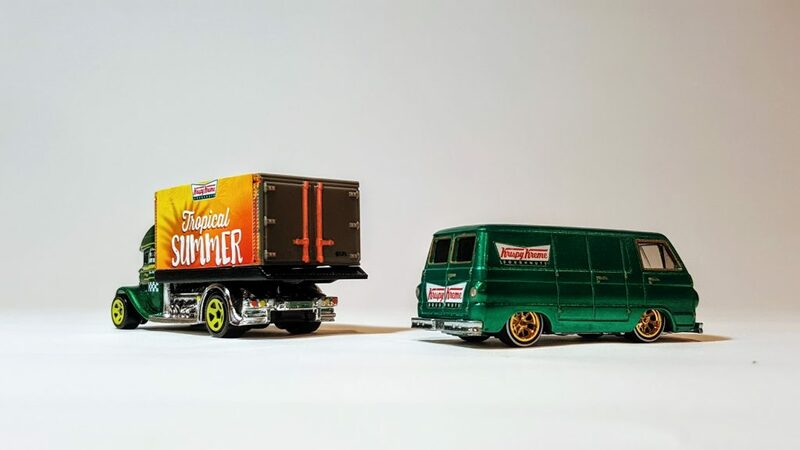 We (well I) recently teamed up with Krispy Kreme Australia to help promote a range of new doughnuts being released for the Summer and the resulting creations were quite delicious if you’ll excuse the pun – and my clear lack of modesty. 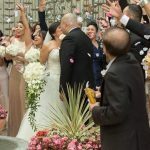 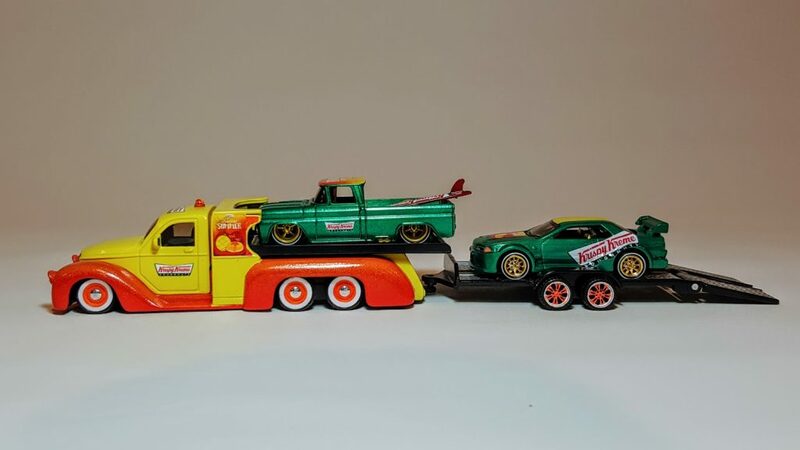 But like any good tale it’s best served with a back story and of course should always start at the beginning. 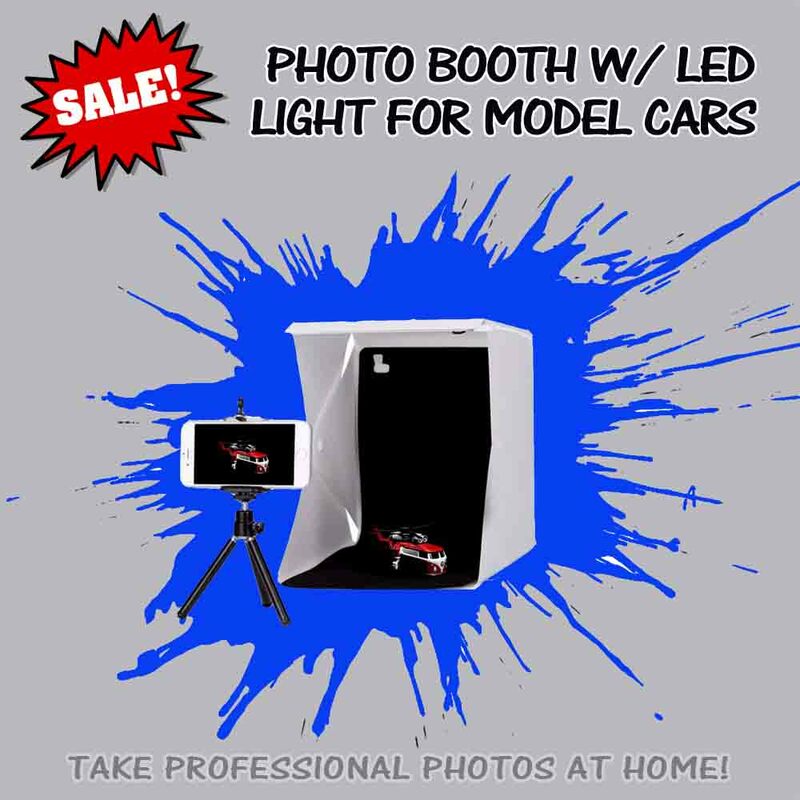 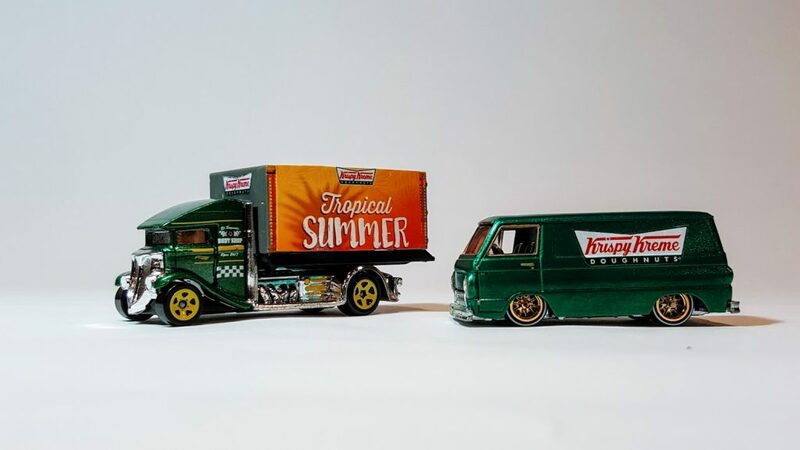 It all started with a humble little Dodge A-100 Panel Van – this little Dodge A-100 Panel Van! 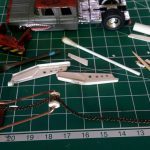 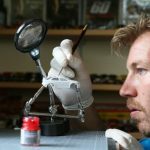 I won’t go into details with the build as the finished products speak for themselves. 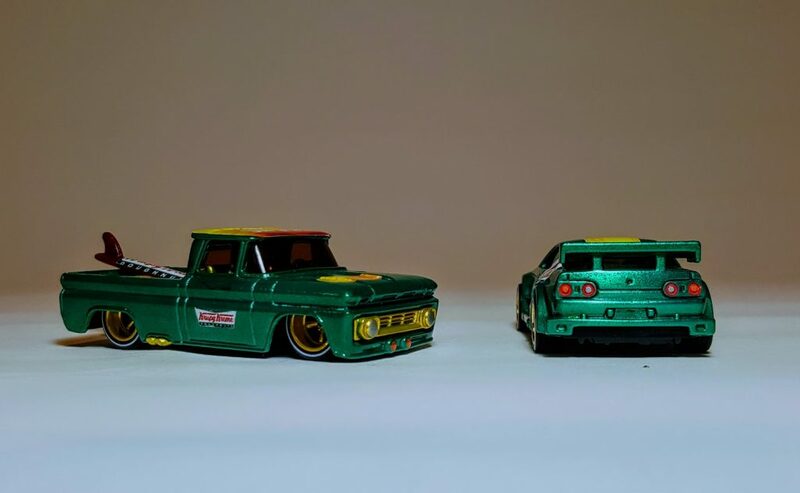 Besides, apart from painting, detailing and adding custom decals there was not really all that much to these 3 builds. 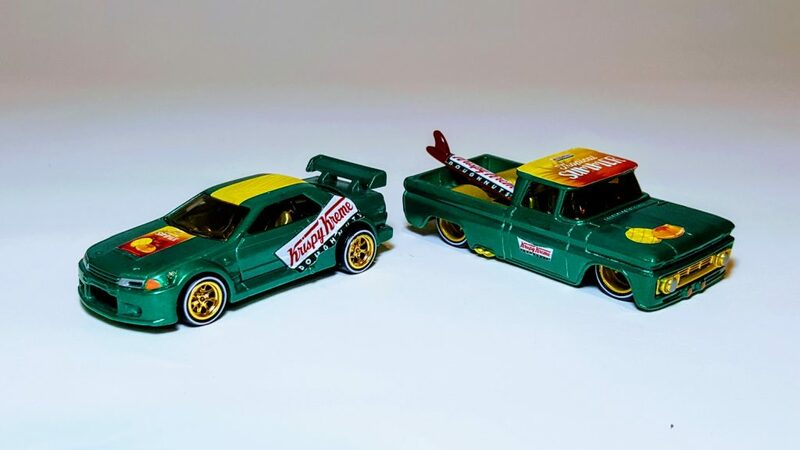 After consulting with Jack at Krispy Kreme I decided on a trio of customs to mark the occasion. 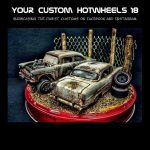 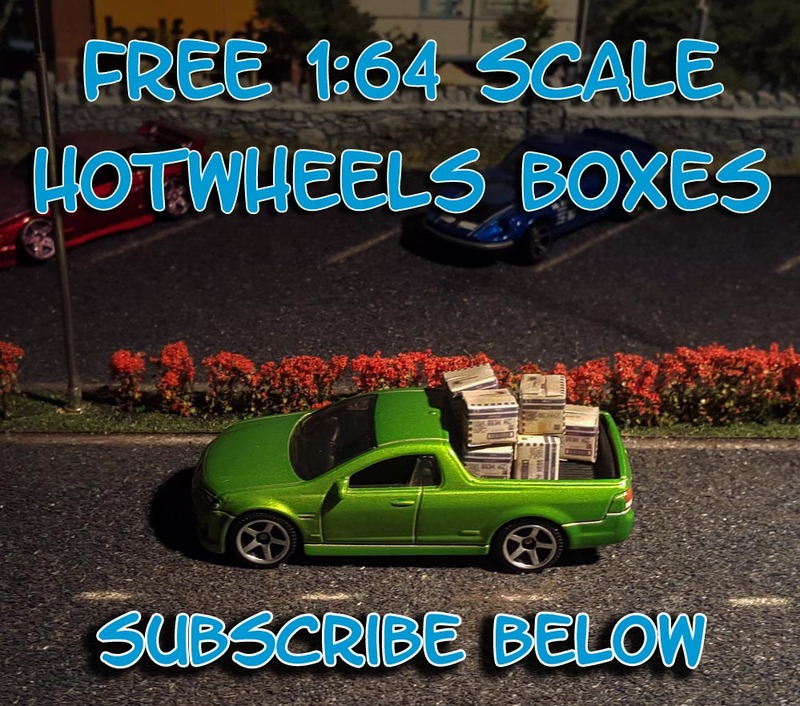 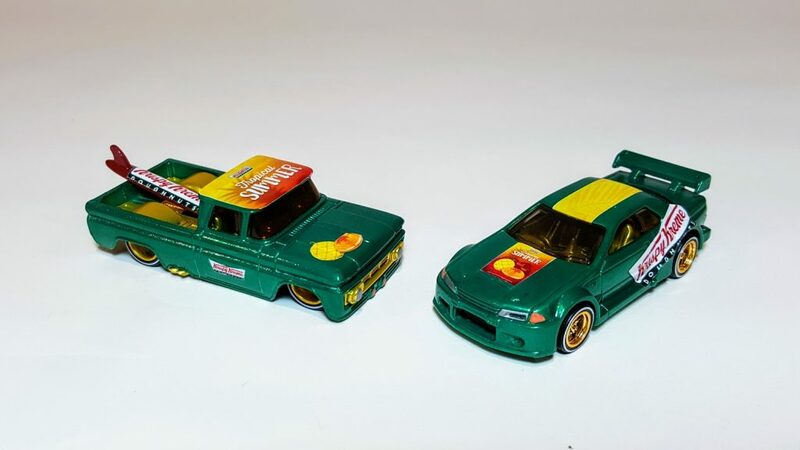 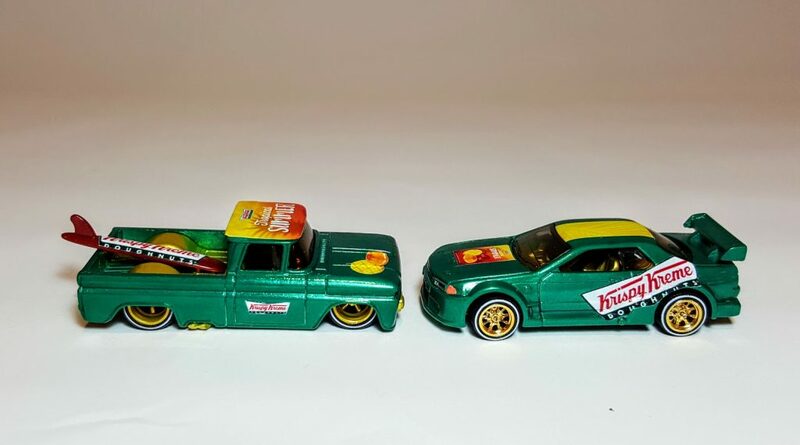 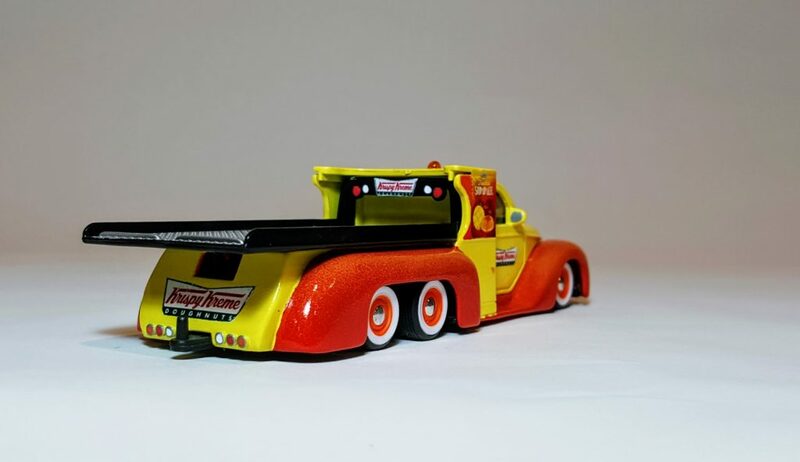 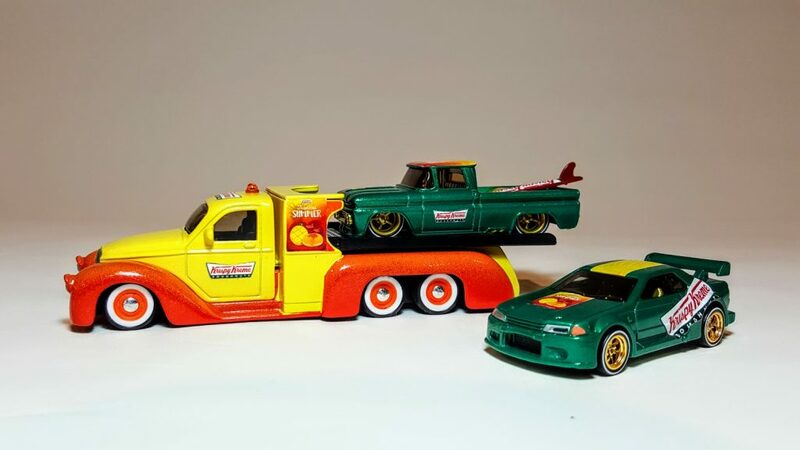 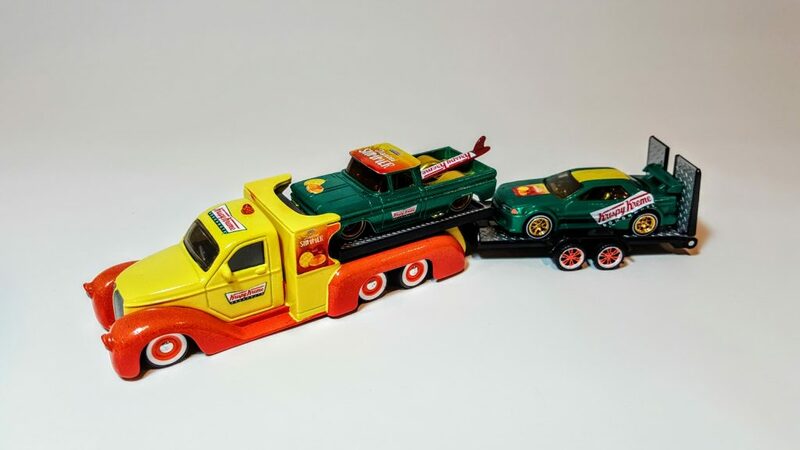 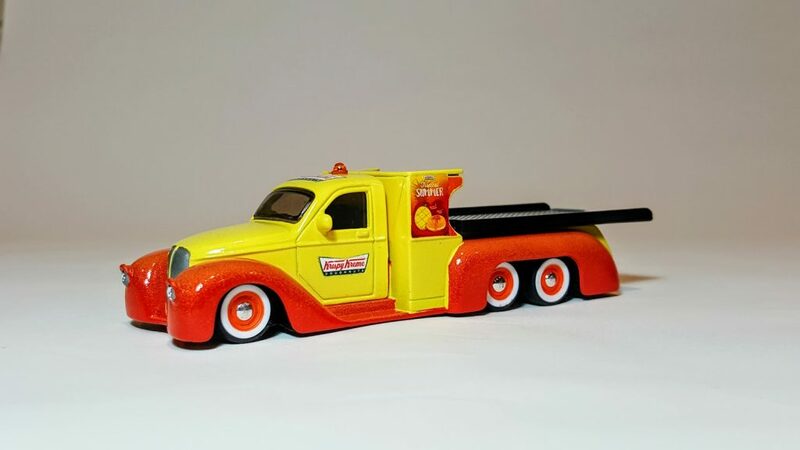 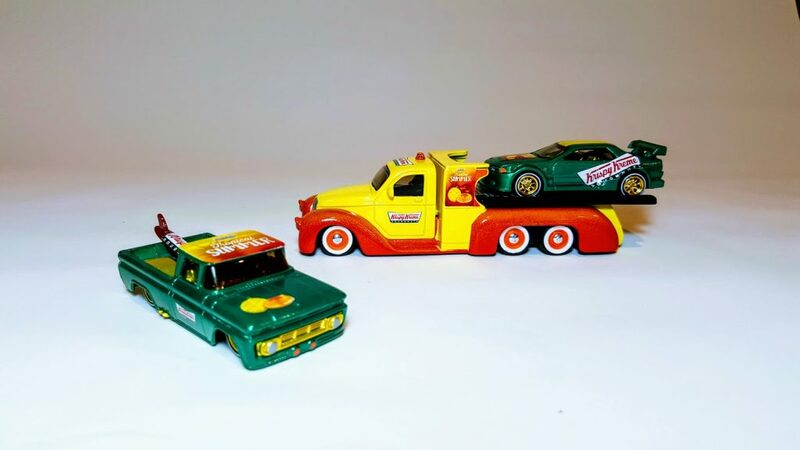 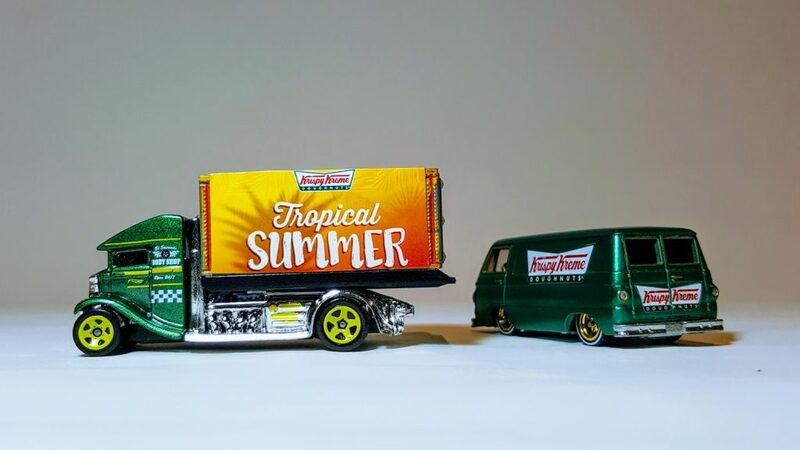 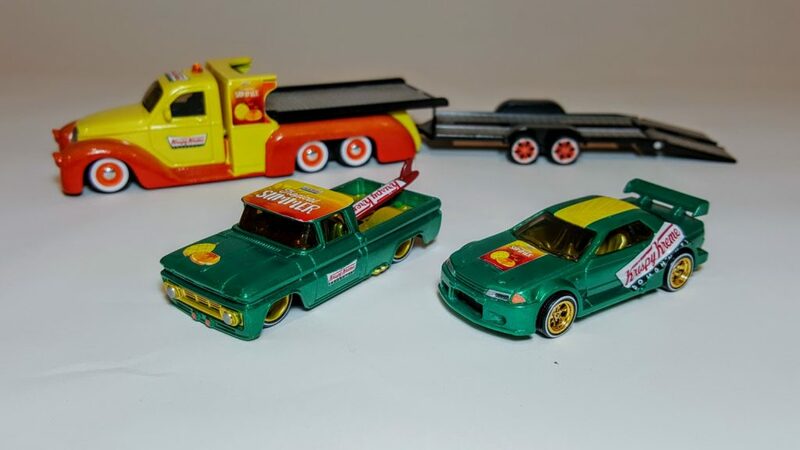 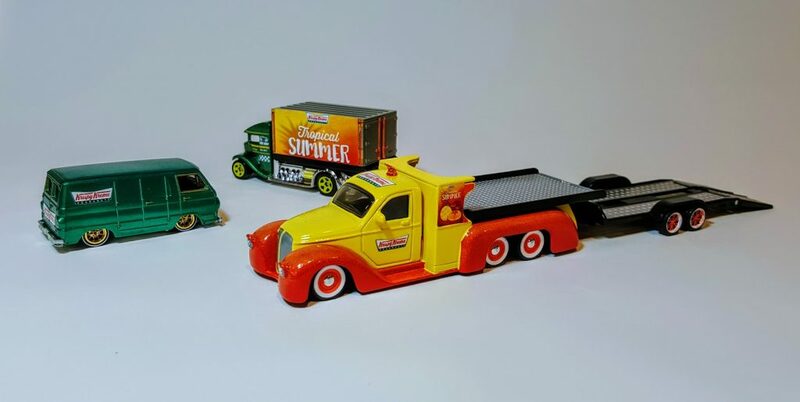 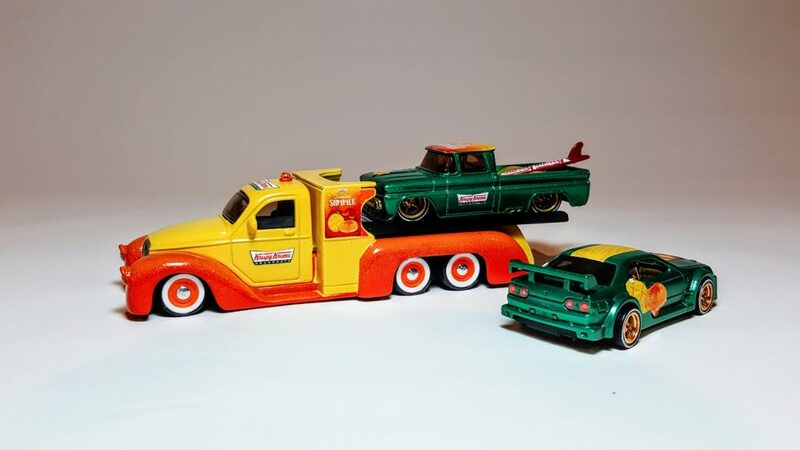 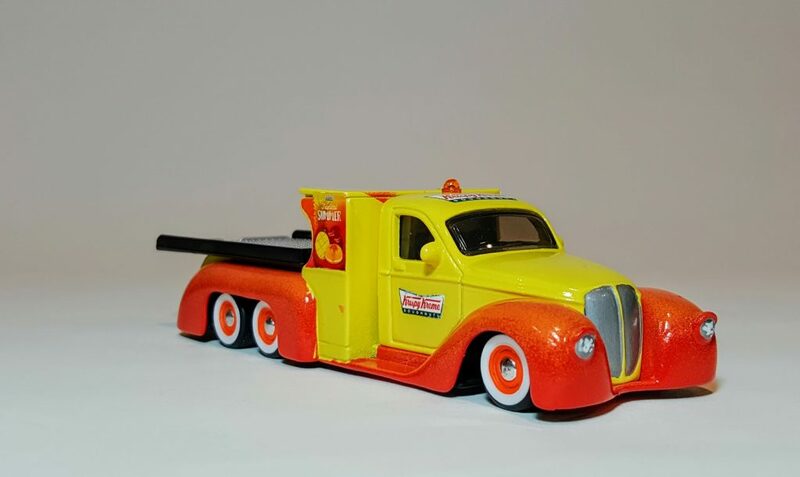 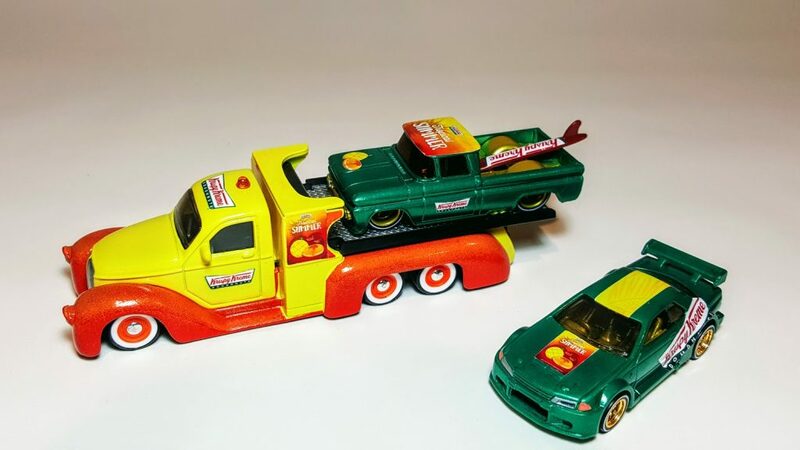 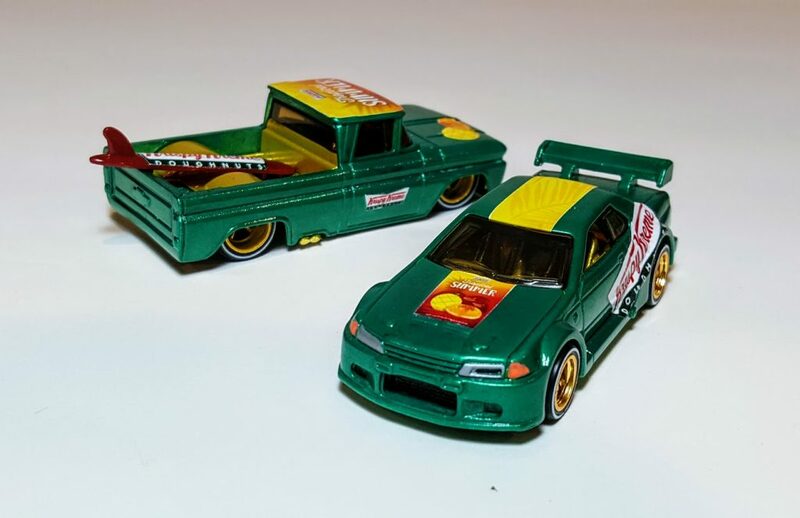 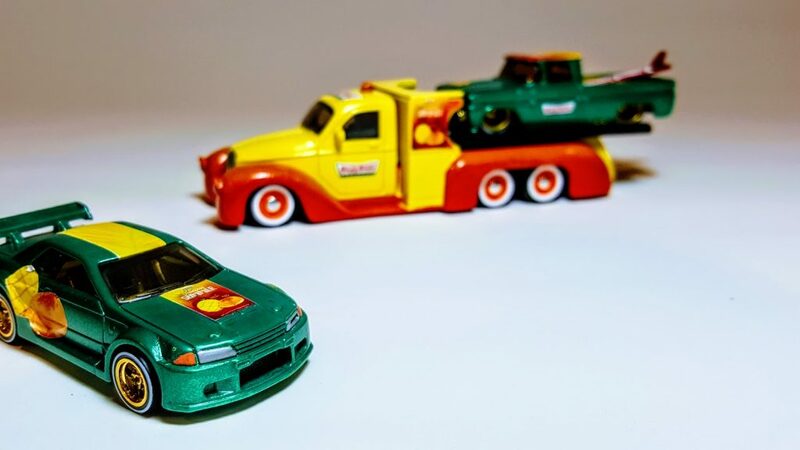 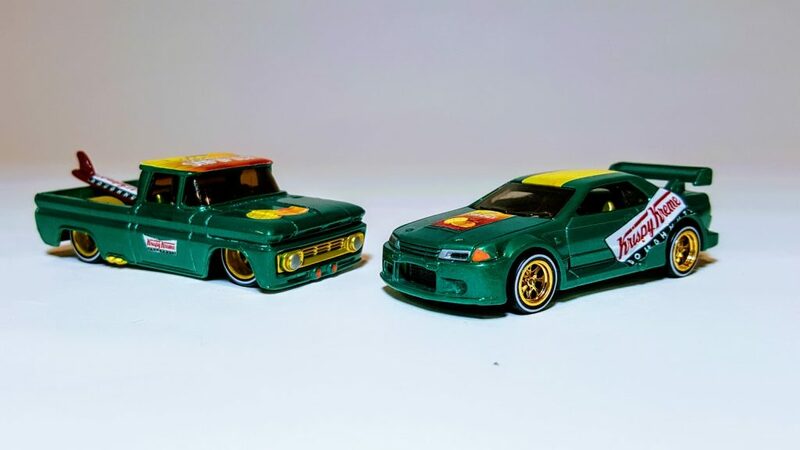 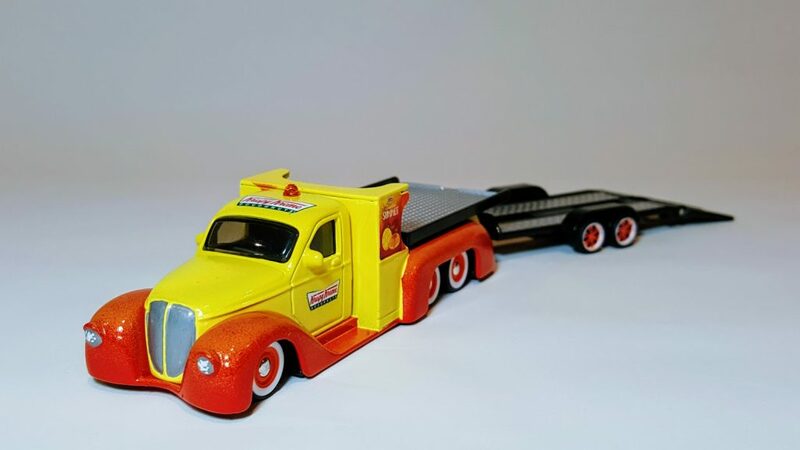 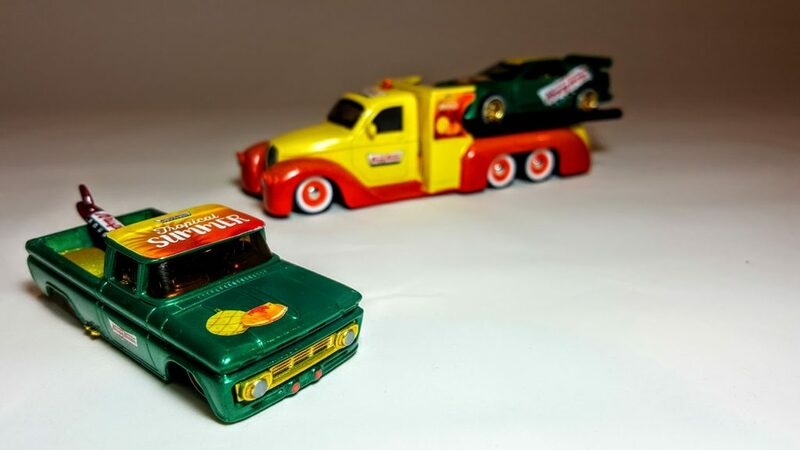 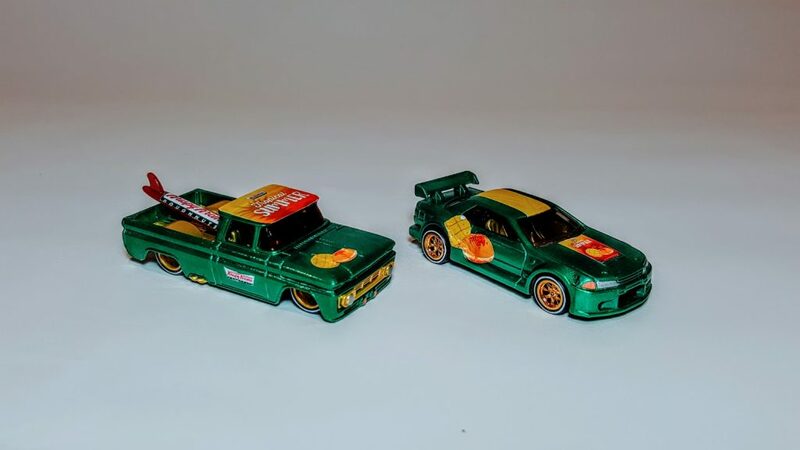 One vehicle for each of the 2 new doughnuts being released for the Australian Summer and a Maisto Flatbed Hauler (and trailer) to tow them around to the various shows and Krispy Kreme 1:64 scale store openings. 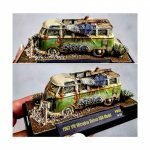 Again I won’t bore you with the details – I’ll let the following images do that for you* … *the aaah details bit I mean, NOT the bore part.